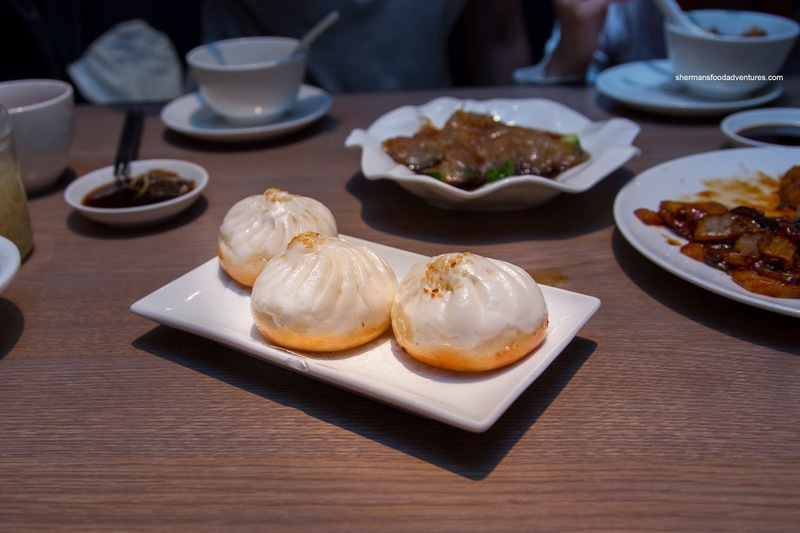 Before I headed off to Hong Kong, I had a list of places I wanted to visit while I was there. 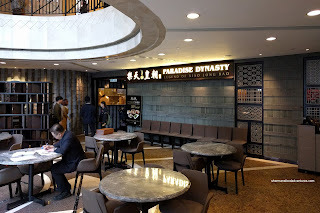 However, not all of the spots aligned with our schedule and besides, some restaurants were chosen for us by the relatives we were meeting up with. Moreover, the "best" places sometimes are overrated and possibly far too busy for us to even attempt to eat at. So when Sharon posted an IG story about the multi-flavoured XLBs at Paradise Dynasty located in Causeway Bay, I added it to my list. It turns out, we were able to make it out there for lunch. 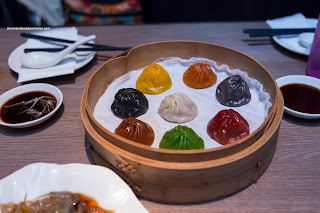 Of course, we had to order their signature item being the Specialty Dynasty Xiao Long Bao consisting of all 8 flavours including Original, Garlic, Ginseng, Foie Gras, Szechuan, Cheese, Crab Roe and Black Truffle. These were beautiful to look at and in fact, pretty delicious in general because the taste was impactful and representative. My favourite was the original featuring DTF-esque thin dumpling wrapper encasing plenty of sweet and meaty soup. The meat was a touch gritty and loose though. I thought the ginseng was pretty herbal and strong while the stringy cheese was subtle but we could taste it. The foie was fatty and strong in flavour while the Szechuan was noticeably spicy. Sporting actual black truffle, that XLB was super woodsy. Lastly, the crab roe was sweet, but not overly so. We also had other dishes including the Chilled Jellyfish atop cucumber with a soy sauce vinaigrette. 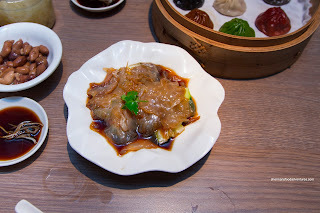 Viv and I really enjoyed the texture of the jellyfish as it was buttery but impactfully crunchy. It was a bit bland on its own, but the strong acidity in the vinaigrette created a lasting impression. Underneath, the large chunks on cucumber was refreshing with a nice crunch. In addition to the XLBs, we tried the Pan-Fried Shanghai Pork Buns which were seared up appealingly brown underneath. The bun itself was a bit dense and thick, but it wasn't a deal breaker. Soft and moist with a light buttery bounce, the meat filling was adequately seasoned and not inundated with green onions. When the kiddies spotted the Wok-Fried Rice Cake with Pork & Vegetable Shanghai Style, their eyes lit up. Fine, it is their favourite, so I got it despite it being a carb-heavy dish. 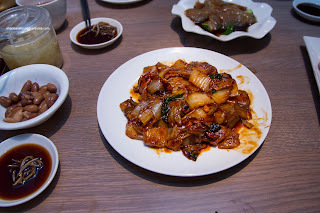 I thought the wok heat was good as there was caramelization in terms of colour and flavour. The liberal use of dark soy helped the cause too. However, the rice cake itself was a bit too soft for our liking. Our last dish was the La Mian with Braised Pork Pork Belly in Signature Pork Bone Soup. 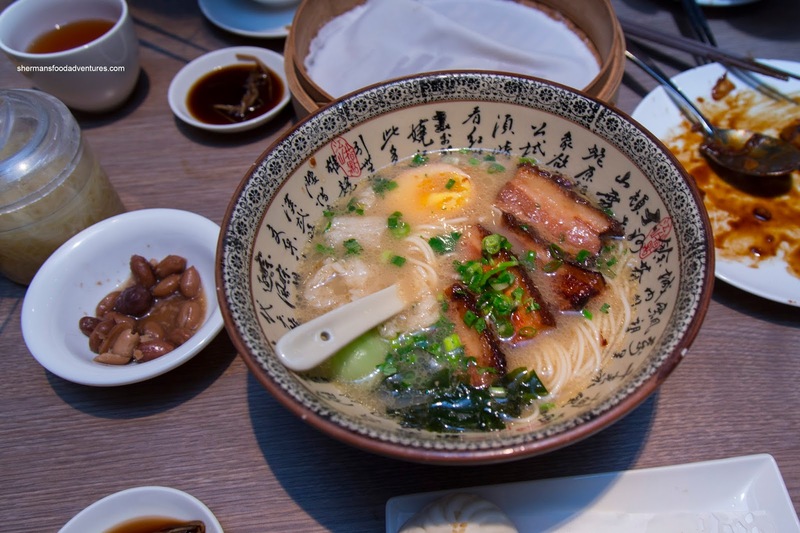 If there was a Chinese version of Japanese Ramen (ironic since the reverse is actually true), this would be it. The soup base was silky, porky and rich. A touch on the softer side, the noodles were slippery and had soaked up the flavour of the broth. We found the meaty and only lightly fatty pork belly to have penetrated sweet soy flavours while being tender. 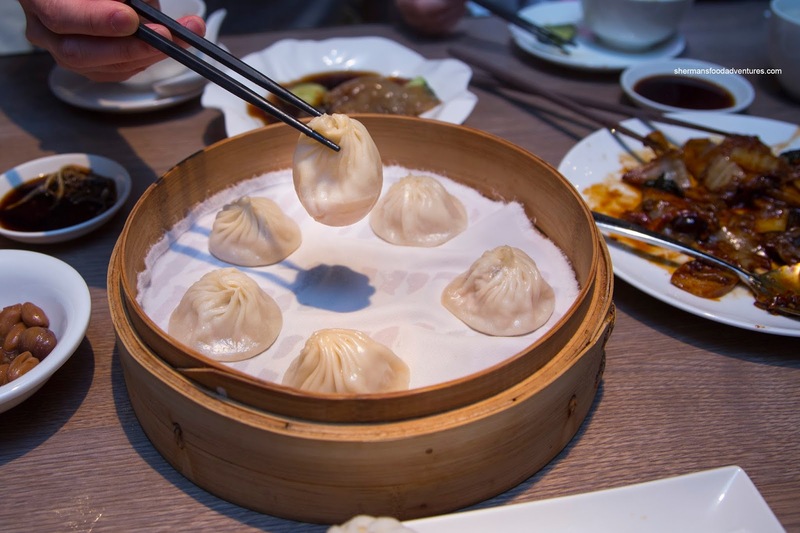 For the dishes we tried, it was pretty obvious to us it was all about the XLBs. So much so, we ordered 3 steamers.